The famous video game in metal wall poster ! 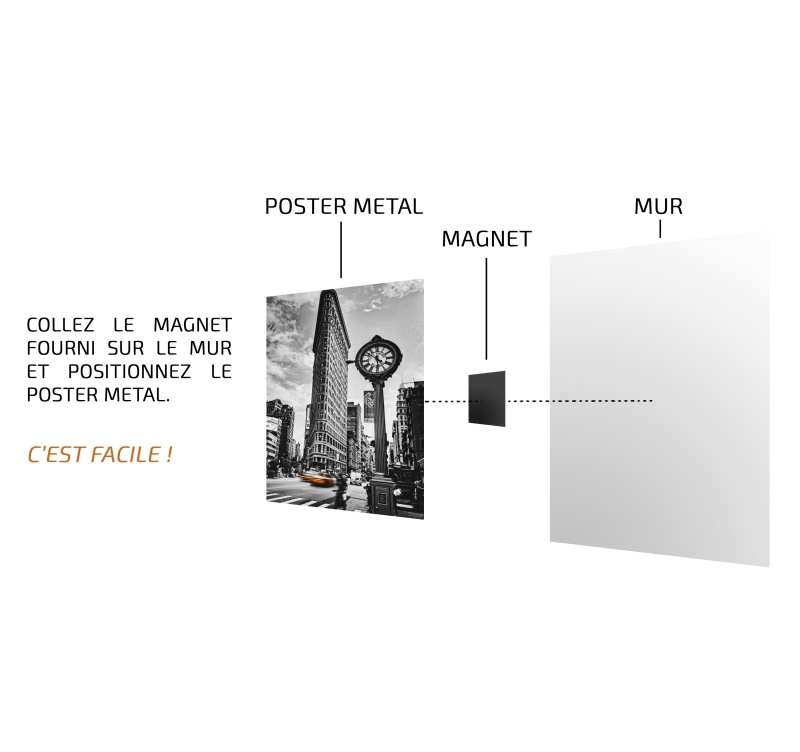 This metal poster comes with its magnetic hanging system. 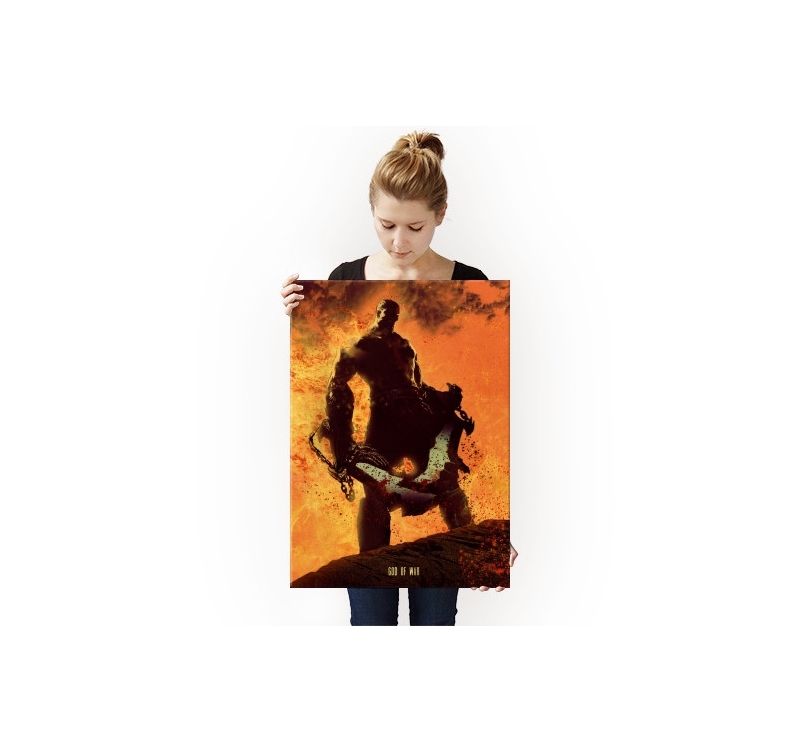 The dimensions of this artist wall poster are 48 x 67.5 cm. The delivery is completely free in Metropolitan France and Belgium for this giant poster. 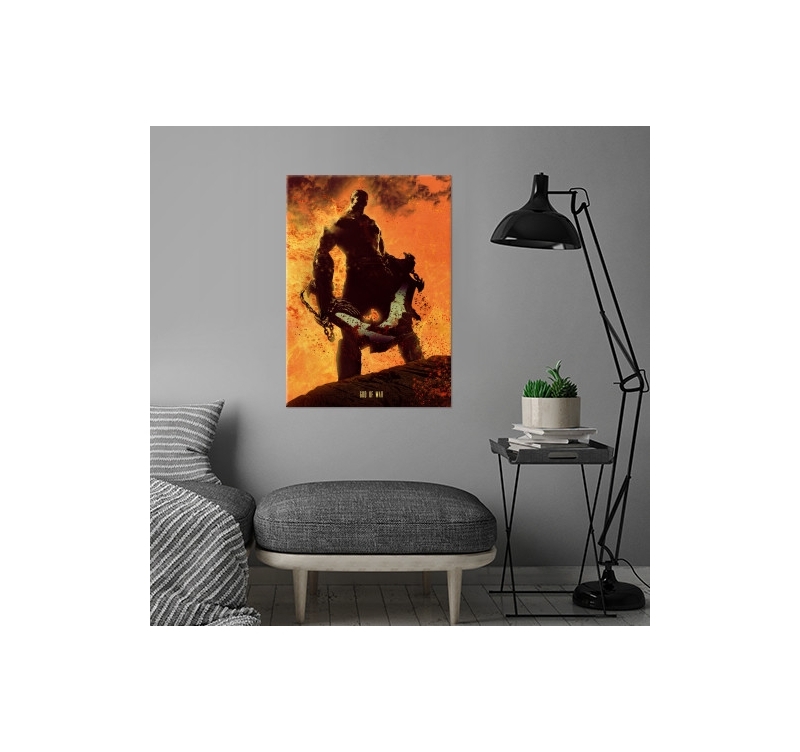 The video game adventure and action is found in this metal wall poster for a unique interior. With epic fights, breathtaking cutscenes, god of war is a classic video game. 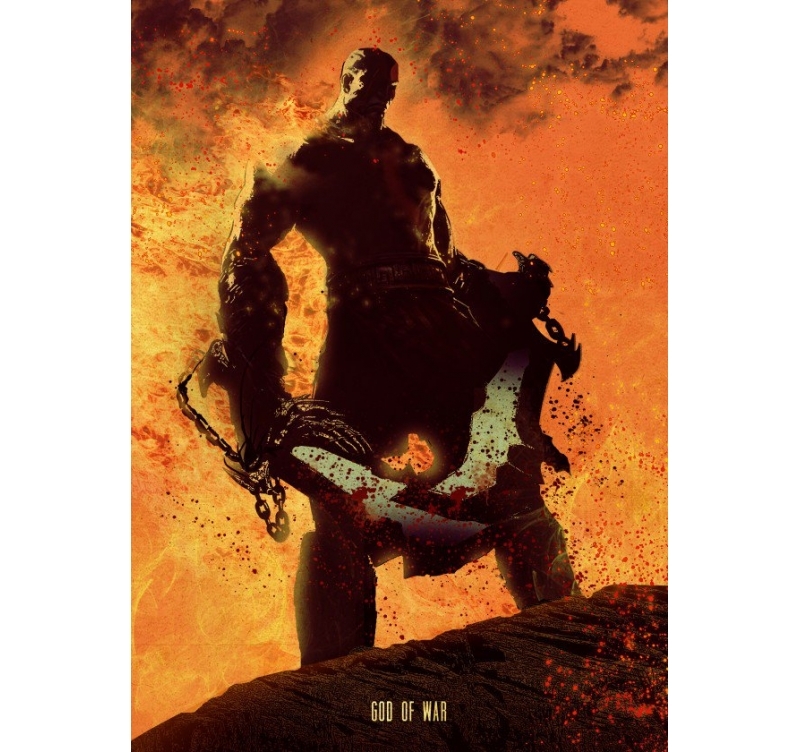 The muscular body hero with red stripes finds its place very well in this unique metal poster that will delight the fans of the first hour. 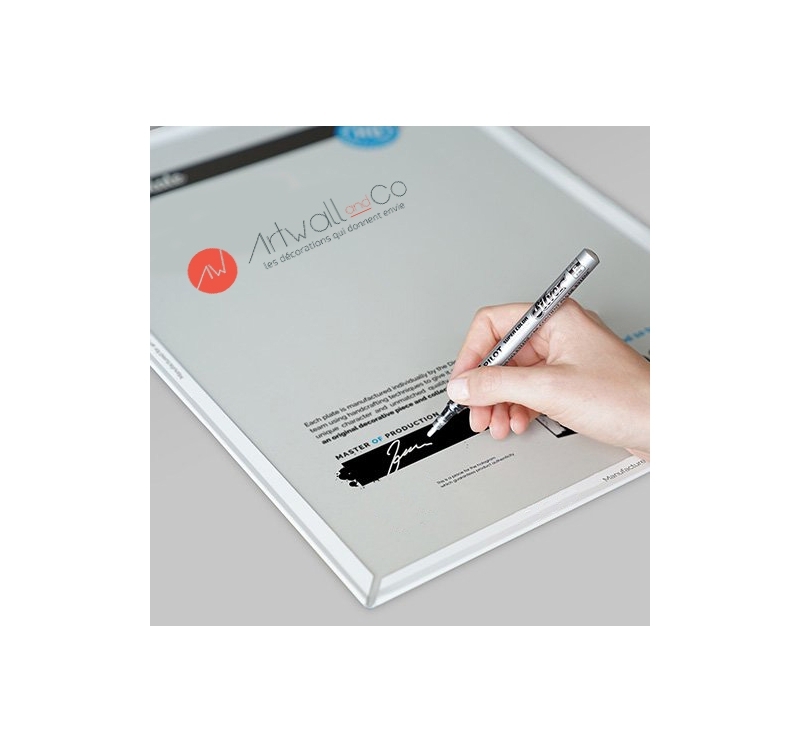 Our metal poster and poster collection contains an authentication hologram and the signature of the production manager on the back to make it a real collector's item. Each metal video game poster comes with its magnetic hanging system and any order supports the artist who created this poster.